I am happy to have the privilege of introducing our final speaker of the day. Many of you know of Richard Heinberg and his work on the topic of peak oil with its dire consequences, which amount to nothing less than the end of civilization as we know it. You may be thinking, “Hmm, that’s not the most cheerful subject to end the day’s lectures with.”. But I believe that what you are about to hear is a sobering and urgent call to action, not just because of the degradation of our life-support systems or the on-going corruption in our government but because we are literally running out of gas. Combine that with global warming, and it’s becoming increasingly clear that we may be approaching a “perfect storm.” But don’t leave it to the media to give us advance warning. Richard Heinberg is one of only a few individuals who have dedicated themselves to educating the public about peak oil and the potential consequences it holds for humanity and for the Earth. Thanks to his work, together with that of his colleagues, the issue of peak oil has inspired thousands of individuals to become active players in the effort to make the transition to a post-carbon world by strengthening community and revitalizing local economies. 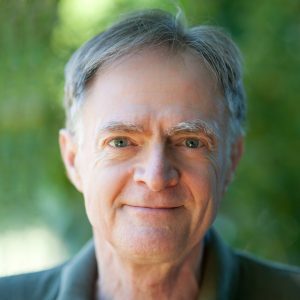 Richard Heinberg is the author of seven books, including The Party’s Over; Power Down; and most recently The Oil Depletion Protocols: A Plan to Avert Oil Wars, Terrorism, and Economic Collapse. His writing is clear, straightforward, and very convincing. He demonstrates a profound understanding of the tumultuous history that has brought us where we are today. A core faculty member at New College in California, he is also a research fellow with the Post Carbon Institute, where he has been involved with projects designed to minimize dependence on fossil fuel by focusing on the energy-generating capacity of community. First let me say what an honor and a delight it is to have been invited here to speak to you, following in the footprints of so many of my personal heroes and heroines, E. F. Schumacher not least among them—a list that now includes the previous two speakers! I am going to talk not only about peak oil and gas, the subject I find myself most identified with, but about the impacts of the related impending crisis upon agriculture and our national food system. Although I will be covering some territory that is already familiar to most of you, I ask you to bear with me, for I will arrive at what I think you will agree are some rather startling conclusions. There was a time not so long ago when famine was an expected, if not accepted, part of life. Until the nineteenth century—whether in China, France, India, or Britain—food came almost entirely from local sources, and harvests were variable. In good years there was plenty, enough for seasonal feasts and for storage in anticipation of winter and hard times to come; in bad years starvation cut down the poorest and the weakest—the very young, the old, and the sickly. Sometimes bad years followed one upon another, reducing the size of the population by several percent. This was the normal condition of life in pre-industrial societies, and it persisted for thousands of years. Today in the United States such a situation is hard to imagine. Food is so cheap and plentiful that obesity is a far more widespread concern than hunger. The average mega-supermarket stocks an impressive array of exotic foods from across the globe, and even staples are typically trucked from hundreds of miles away. Many people did go hungry during the Great Depression, but those were times that only the elderly can recall. In the current regime the desperately poor may experience chronic malnutrition and may miss meals, but for most the dilemma is whether to find time in the day’s hectic schedule to go to the grocery store and take food home to cook or to eat out instead. As a result, fast-food restaurants proliferate: the fare may not be particularly nutritious, but even an hour’s earnings at minimum wage will buy a meal or two. The average family in the United States spent 20 percent of its income on food in 1950; today the figure is 10 percent. This is an extraordinary state of affairs, but because it is the only one that most of us alive today have ever experienced, we tend to assume that it is normal and will continue indefinitely. There are, however, reasons to think that our current anomalous abundance of inexpensive food may be only temporary; if so, present and future generations may become acquainted with that old, formerly familiar but unwelcome houseguest—famine. The following are four principal bases (there are others) for this gloomy forecast. The first has to with looming fuel shortages. I’m going to describe this problem in some detail because it is so central to the entire thesis that I’m laying before you. Energy is of course the key to life itself. We humans have been harvesting energy from our environments for as long as we have been human, gaining energy principally through the food we eat and exerting energy primarily through muscle power. We have seen several important energy transitions in our history, including the harnessing of fire, the planting of crops, and the domestication of animals for the purpose of capturing their muscle power. Throughout all of this time we were subject to the net energy principle: it takes energy to get energy from the environment, and costs have to be subtracted from gross yields. For example, it takes energy, in the form of food, to keep horses. As recently as 1900 something like 20 to 25 percent of U.S. cropland was set aside to grow food for horses. But because a horse can do the work of ten people, there was a net energy profit from raising and harnessing those horses. It was that net energy profit from agriculture and from animal muscle power, and occasionally from water mills or windmills, that made possible the construction of the complex societies that we call civilizations. We discovered fossil fuels a very long time ago, but we didn’t have a way to use them until we had developed metallurgy and certain basic machines; once we had done so, we lit a fuse on a keg of dynamite under civilization. Previous energy transitions pale by comparison to what has happened over the past two hundred years. Perhaps the easiest way to show that impact is by tracking human population. We had never numbered more than a few hundred million, even well into the medieval period, but our population achieved one billion by the year 1820, two billion by 1930 or so, three billion by around 1960, four billion by the mid-1970s, five billion by the late 1980s, and six billion by the late 1990s. We’ve added more than half a billion additional humans just since 1999. This is an extraordinary success from a biological point of view, but of course it’s a highly perilous kind of success. How did we manage to do it? How did we, being just one puny species among millions of others, manage to take over the biosphere? The answer is, through the power of fossil fuels. Fossil fuels made the net-energy constraint temporarily irrelevant. Think about it. Have your ever run out of gas along the highway and had to push your car two or three yards to get it off to the side of the road? You know that’s hard work. Imagine pushing your car twenty or thirty miles. That’s the energy equivalent of roughly six to eight weeks of hard human labor. It’s what we get from a single gallon of gasoline for which we’re paying less than $2.25 right now. Imagine getting six to eight weeks of human labor for $2.25. You can’t do that even in China. So of course we’ve mechanized every possible aspect of human life to take advantage of that amazingly cheap energy source. We’ve been living on virtually free energy for the past two hundred years. Oil and the other fossil fuels are nonrenewable, and here is the catch: We started running out of oil when the very first barrel of it was extracted from the ground. The depletion of oil really became apparent in this country in 1970 when we achieved our national oil-production peak. Prior to that time the United States had been the world’s foremost oil-producing nation. That is celebrated in a wonderful television series I’m sure you are familiar with, the Beverly Hillbillies. Back in those days a few people were getting rich from exploring for and discovering oil. That’s not happening any more. The peak of discovery in the United States was way back in 1930. We’re finding very little these days, and what we do find is in extremely inhospitable environments, where the cost of exploration and extraction is enormously higher than it was only a couple of decades ago. Reaching the peak of domestic oil production has had enormous economic repercussions for our nation: we have become dependent on imports of oil. Now we import about 70 percent of what we use in terms of regular conventional oil and refined oil products. We are borrowing roughly a billion dollars a day to pay for those imports. We used to be a net lender to the rest of the world; now we are the world’s foremost net borrower. Our foreign policy has also changed, and we’ve developed a peculiar fascination with the parts of the world where much of the remaining oil lies. We now have military bases throughout the Middle East and central Asia. In fact, wherever there’s an oil well or a pipeline anywhere in the world, there’s likely to be a U.S. military base close by. Now, as costly and significant as the U.S. oil production peak has been, the global peak, when it inevitably occurs, is going to be far more so, and there are clues to suggest that it may not be so far in the future. First of all, we’re seeing production peaks in many other countries: Great Britain, Norway, Oman, Mexico; the list goes on. The majority of oil-producing nations now are in decline. In a very few cases that decline may be temporarily reversible, but in most cases, as in the United States, we are looking at a long, slow, inexorable decline. The rate at which oil is being discovered globally has been declining since about 1964. Moreover, most of the large fields were discovered a long time ago, and that’s important because not all oil fields are the same. Some are extremely large, but others are very small. Roughly half of all current oil production comes from only 120 giant and supergiant fields, all of which were discovered in the 1930s, 1940s, 1950s, a few in the 1960s, and one in the 1970s; the rest of the world’s oil production, the other half, comes from tens of thousands of much smaller oil fields, and that’s what we’re finding today—mere minnows. As the giant and supergiant fields go into decline, it becomes more and more difficult to replace their production from the smaller fields we’re finding today. As a result the oil industry is on a kind of treadmill that’s speeding up over time, and the runner is tiring. When is the global peak likely to occur? The answer is, no one knows for sure, but many analysts are lining up around a forecast date of approximately 2010. We are not looking at an event far in the distant future but one that is very close indeed. Can’t we simply make up for oil with alternative energy sources? There are alternative fossil fuels: low-grade ones like the tar sands of Canada and oil shale in Colorado. We can also turn coal and gas into liquid fuels. Then there are alternative energy sources that are renewable—solar, wind, geothermal, tidal, wave power, ocean thermal. In each and every case, when we do the analysis we find that there are inherent limits, either time limits or limits of scale. Very few of us, unfortunately, have been educated to understand energy or to properly assess energy sources. Energy literacy really needs to be developed rapidly in our society, not only among the general population but especially among policy makers. Every energy source needs to be evaluated by its net-energy profit ratio, its convenience of use, scalability, the size of the resource base, environmental impacts, and so on. There are eight or nine variables that we need to take into account. When we do so, we find that solutions are not plentiful. There are many alternative energy sources, and we need to develop them as rapidly as possible, but the likelihood of their being able to pick up where oil is leaving off is not great. As if the peak-oil crisis were not bad enough, the United States is also facing a natural-gas-supply crisis. Production (or extraction) is declining already, despite the fact that drilling efforts have more than doubled over the past eight years. Currently every available drilling rig is at work, but because there is a shortage of trained personnel, drilling rates probably cannot be increased further. Ironically, natural gas in storage is now at record levels, and therefore prices have actually fallen significantly in recent months. This is due to reduced demand stemming from warmer winters (thanks to global warming) and reduced demand from industry because of the recent high prices. Much of the U.S. chemicals industry, which uses natural gas as a feedstock, has fled the country for good. Though extraction rates continue to fall, the market tells us there is no problem because there is no actual shortage for the moment. In just a few years, however, there will indeed be shortages and very definitely an enormous problem. This has implications for home heating, because 60 to 70 percent of homes in the United States heat with gas. As for our electrical grid system, something like 90 percent of new generating capacity installed in the past decade is gas fired. As with oil, shortages of natural gas will have their impact on agriculture. I am not going to talk to you about the impacts of peak oil for the auto and trucking industries, the airlines, tourism, the plastics and chemicals industries, or for the national and global economy. Suffice it to say that the challenge for modern growth-based industrial societies will be great. Nor will I be talking about the Oil Depletion Protocol, which I believe will be the best policy tool for nations and regions to deal with this problem. My primary concern today is agriculture. Modern industrial agriculture has been described as a method of using soil to turn petroleum and gas into food. We use natural gas to make fertilizer and oil in order to fuel farm machinery as well as to power irrigation pumps, as a feedstock for pesticides and herbicides, in the maintenance of animal operations, in crop storage and drying, and for transportation of farm inputs and outputs. Agriculture accounts for about 17 percent of the U.S. annual energy budget, which makes it the single largest consumer of petroleum products as compared to other industries. The U.S. military, in all of its operations, uses only about half that amount. Approximately 1,500 liters (350 gallons) of oil equivalents are required to feed each person in the United States each year, and every calorie of food produced requires on average ten calories of fossil-fuel inputs. This is a food system profoundly vulnerable, at every level, to fuel shortages and skyrocketing prices. Both are inevitable. An attempt to make up for fuel shortfalls by producing more biofuels—ethanol, butanol, and biodiesel—will put even more pressure on the food system and will likely result in a competition between food and fuel uses for land and other resources needed in agricultural production. Already 17 percent of the U.S. corn crop is devoted to making ethanol, and that proportion is expected to rise to one-quarter, based solely on existing projects in development and on government mandates. The second factor potentially leading to famine is a shortage of farmers. Much of the success of industrial agriculture lies in its labor efficiency: far less human work is required to produce a given amount of food today than was the case decades ago (the actual fraction, comparing the year 2000 with 1900, is about one-seventh). But that very success implies a growing vulnerability. We don’t need as many farmers as a percentage of the population as we used to; thus, throughout the past century most farming families—including hundreds of thousands and perhaps millions who would have preferred to maintain their rural, self-sufficient way of life—were economically forced to move to cities and find jobs there. Today so few people farm that vital knowledge of how to farm is disappearing. The average age of farmers in the United States is over fifty-five and approaching sixty. The proportion of principal farm operators younger than thirty-five has dropped from 15.9 percent in 1982 to 5.8 percent in 2002. Of all the dismal statistics I know, these are surely among the most frightening. Who will be growing our food twenty years from now? With less oil and gas available, we will need far more knowledge and muscle power devoted to food production and, thus, far more people on the farm, than we have currently. The third worrisome trend is an increasing scarcity of fresh water. Sixty percent of water used nationally goes toward agriculture. California’s Central Valley produces the substantial bulk of the nation’s fruits, nuts, and vegetables yet receives virtually no rainfall during summer months and relies overwhelmingly on irrigation. But the snowpack on the Sierra, which provides much of that irrigation water, is declining, thanks again to global warming, and the aquifer that supplies much of the rest is being drawn down at many times its recharge rate. If these trends continue, the Central Valley may be incapable of producing food in any substantial quantities within two or three decades. Other parts of the country are similarly overspending their water budgets, and very little is being done to deal with this impending catastrophe. Fourth and finally, there is the problem of global climate change. Often the phrase used for this is “global warming,” which implies only the fact that the world’s average temperature will be increasing by a couple of degrees or more over the next few decades. The much greater problem for farmers is destabilization of weather patterns. We face not just a warmer climate but climate chaos: droughts, floods, and stronger storms in general (hurricanes, cyclones, tornadoes, hail storms)—that is, unpredictable weather of all kinds. Farmers depend on relatively consistent seasonal patterns of rain and sun, cold and heat; a climate shift can spell the end of farmers’ ability to grow a crop in a given region, and even a single freak storm can destroy an entire year’s production. Given the fact that modern agriculture in this country has become highly centralized due to cheap transport and economies of scale (as we found out in the recent tainted spinach scare, almost the entire national spinach crop comes from a single valley in California), the damage from that freak storm is today potentially continental or even global in scale. We have embarked on a century in which, increasingly, freakish weather is normal. I am not pointing out these problems and their likely consequences in order to cause panic. As I will be proposing in a few moments, there is a solution to at least two of these problems, one that may also help us address the remaining two. It is not a simple or easy strategy, and it will require a coordinated and sustained national effort. But in addition to averting famine, this strategy may also permit us to solve a host of other seemingly unrelated social and environmental problems. First, in order to get a better grasp of the problems and the solution being proposed, it is essential that we understand how our present exceptional situation of cheap abundance came about. In order to do that, we must go back not just a few decades but at least ten thousand years. The origins of agriculture are shrouded in mystery, though archaeologists have been whittling away at that mystery for decades. We know that horticulture (or gardening, from the Latin word hortus, meaning garden) began at somewhat different periods, independently, in at least three regions—the Middle East, Southeast Asia, and Central America. Following the end of the last Ice Age, roughly 12,000 years ago, much of humanity was experiencing a centuries-long food crisis brought on by the overhunting of the megafauna that had previously been at the center of the human diet. The subsequent domestication of plants and animals brought relative food security as well as the ability to support larger and more sedentary populations. As compared to hunting and gathering, horticulture intensified the process of obtaining food. Intensification (because it led to increased population density—i.e., more mouths to feed) then led to the need for even more intensification: thus, horticulture or gardening eventually led to agriculture (from the Latin ager, meaning field), which essentially means field cropping. The latter produced even more food per unit of land, thereby enabling more population growth, which in turn meant still more demand for food. I am describing a classic self-reinforcing feedback loop. As a social regime, horticulture did not represent a decisive break with hunting and gathering. Just as women had previously participated in essential productive activities by foraging for plants and hunting small animals, they now played a prominent role in planting, tending, and harvesting the garden—activities that were all compatible with the care of infants and small children. Thus, women’s status remained relatively high in most horticultural societies. Seasonal surpluses were relatively small, and there was no full-time division of labor. As agriculture developed—with field crops, plows, and draft animals—societies inevitably mutated in response. Plowing fields was men’s work; women were forced to stay at home and lost social power. Larger seasonal surpluses required management as well as protection from raiders. Full-time managers and specialists in violence (i.e., soldiers) proliferated as a result. Societies became multi-layered: wealthy ruling classes (which had never existed among hunter-gatherers and were rare among gardeners) sat atop an economic pyramid that came to include scribes, soldiers, and religious functionaries, supported at its base by the vastly more numerous peasants, who produced all the food for themselves and everyone else as well. Writing, mathematics, metallurgy, and ultimately the trappings of modern life as we know it thus followed not so much from planting in general as from agriculture in particular. As important an instance of intensification as agriculture was, in many respects it pales in comparison with what has occurred within the past century or so with the application of fossil fuels to farming. Petroleum-fed tractors replaced horses and oxen, freeing more land to grow food for far more people. The Haber-Bosch process for synthesizing ammonia from fossil fuels, invented just prior to World War I, has doubled the amount of nitrogen available to green nature, with nearly all of that increase going directly to food crops. New hybrid plant varieties led to higher yields, technologies for food storage improved radically, and fuel-fed transport systems enabled local surpluses to be sold not only regionally but nationally and even globally. Through all of these strategies, we have developed the wherewithal to feed seven times the population that existed at the beginning of the industrial revolution. In the process we have made farming uneconomical and unattractive to all but a few. The Expansion Period (1600 to 1920): Increases in food production during these three centuries came simply from putting more land into production. Technological change played only a minor role. The Mechanization Period (1920 to 1970): In this half-century technological advances issuing from cheap, abundant fossil-fuel energy resulted in a dramatic increase in productivity (output per worker hour). Meanwhile farm machinery, pesticides, herbicides, irrigation, new hybrid crops, and synthetic fertilizers allowed for the doubling and tripling of crop production. Also during this time U.S. Department of Agriculture policy began favoring larger farms (the average farm size grew from 100 acres in 1930 to almost 500 acres by 1990) and production for export. The Saturation Period (1970 to the present): In these recent decades, the application of still greater amounts of energy has produced smaller relative increases in crop yields. Meanwhile, an ever-growing amount of energy is being expended just to maintain the functioning of the overall system. For example, about 10 percent of the energy in agriculture is used to offset the negative effects of soil erosion, while increasing amounts of pesticides must be sprayed each year as pests develop resistance. In short, strategies that had recently produced dramatic increases in productivity became subject to the law of diminishing returns. While we were achieving miracles of productivity, agriculture’s impact on the natural world was also growing; indeed, it is now the single greatest source of human damage to the global environment. This damage takes a number of forms: erosion and salinization of soils; deforestation (a strategy for bringing more land into cultivation); fertilizer runoff (which ultimately creates enormous “dead zones” around the mouths of many rivers); loss of biodiversity; fresh water scarcity; and agrochemical pollution of water and soil. In sum, we created unprecedented abundance while ignoring the long-term consequences of our actions. This is more than a little reminiscent of how some previous agricultural societies—such as the Greeks, Babylonians, Romans, and Mayans—destroyed soil and habitat in their mania to feed growing urban populations and collapsed as a result. Fortunately, during the past century or two we have also developed the disciplines of archaeology, history, and ecology, which teach us how and why those ancient societies failed and how the diversity of the web of life sustains us. Thus, in principle, if we avail ourselves of this knowledge, we need not mindlessly repeat yet again the same time-worn tale of catastrophic civilizational collapse. How might we avoid such a fate? Surely the dilemmas I have outlined are understood by the managers of the current industrial food system. They must have some solutions in mind. Indeed they do, and predictably those solutions involve a further intensification of the food production process. Because we cannot achieve much by applying more energy directly to that process, the most promising strategy on the horizon seems to be the genetic engineering of new crop varieties. If we could, for example, design crops to grow with less water or in unfavorable climate and soil conditions, we could perhaps find our way out of the current mess. Unfortunately, this strategy has flaws. Our collective experience so far with genetically modifying crops shows that glowing promises of higher yields or of the reduced need for herbicides have seldom been fulfilled. At the same time new genetic technologies carry with them the potential for horrific unintended consequences in the form of negative impacts on human health and the integrity of ecosystems. We have been gradually modifying plants and animals through selective breeding for millennia, but new gene-splicing techniques enable scientists to re-mix genomes in ways and to degrees impossible heretofore. One serious error could result in biological tragedy on an unprecedented scale. Yet even if future genetically modified commercial crops prove to be much more successful than past and existing ones, and even if we manage to avert a genetic apocalypse, the means of producing, distributing, and growing genetically engineered seeds is itself reliant on the very fuel-fed industrial system that is in question. Is it possible, then, that a solution lies in another direction altogether—perhaps in deliberately de-industrializing production but doing so intelligently, using information we have gained from the science of ecology as well as from traditional and indigenous farming methods in order to reduce environmental impacts while maintaining total yields at a level high enough to avert widespread famine? This is not an entirely new idea. As you all well know, the organic and ecological farming movements have been around for decades, but up to this point the managers of the current national and global systems have resisted the idea. This is no doubt largely because those managers are heavily influenced by giant corporations that profit from centralized industrial production for distant markets; nevertheless, the fact that we have reached the end of the era of cheap oil and gas demands that we re-examine the potential costs and benefits of our current trajectory and its alternatives. I believe we must and can de-industrialize agriculture. The general outline of what I mean by de-industrialization is simple enough: this would imply a radical reduction of fossil-fuel inputs to agriculture accompanied by an increase in labor inputs and a reduction of transport, with production being devoted primarily to local consumption. Once again, fossil-fuel depletion almost ensures that this will happen, but at the same time it is fairly obvious that if we don’t plan for de-industrialization, the result could be catastrophic. It’s worth taking a moment to think about how events might unfold if the process is driven simply by oil and gas depletion—without intelligent management. Facing high fuel prices, family farms would declare bankruptcy in record numbers. Older farmers (the majority, in other words) would probably choose simply to retire, whether they could afford to or not; moreover, giant corporate farms would also confront rising costs, which they would pass along to consumers by way of dramatically higher food prices. Yields would begin to decline—in fits and starts—as weather anomalies and water shortages affected one crop after another. Meanwhile, people in the cities would also feel the effects of skyrocketing energy prices. Entire industries would falter, precipitating a general economic collapse. Massive unemployment would lead to unprecedented levels of homelessness and hunger. Many people would leave cities looking for places to live where they could grow some food. But they might find all of the available land already owned by banks or the government. Without experience in farming, even those who succeeded in gaining access to acreage would fail to produce much food and would ruin large tracts of land in the process. Eventually these problems would sort themselves out; people and social systems would adapt—but probably not before an immense human and environmental tragedy had ensued. I wish I could say that this forecast is exaggerated for effect, but in fact the actual events could be far more violent and disruptive than it is possible to suggest in so short a summary. Things don’t have to turn out that way. As I have already said, I believe that the de-industrialization of agriculture could be carried out in a way that is not catastrophic but instead substantially benefits society and the environment in the long run. But to be convinced of the thesis we need more than promises. We need historic examples and proven strategies. Fortunately, we have two of each. In some respects the most relevant historic example is that of Cuba’s Special Period. In the early 1990s, with the collapse of the Soviet Union, Cuba lost its source of cheap oil. Its industrialized agricultural system, which was heavily fuel dependent, immediately faltered. Very quickly Cuban leaders abandoned the Soviet industrial model of production, changing from a fuel- and petrochemical-intensive farming method to a more localized, labor-intensive, organic mode of production. How they did this is itself an interesting story. A number of eco-agronomists at Cuban universities had already been advocating a transition somewhat along these lines for some time, but they were making little or no headway. When the crisis hit, they were given free rein to redesign the entire Cuban food system. Had these academics not been persistently advocating their position in previous years, the nation’s fate might have been sealed. Heeding their advice, the Cuban government broke up large state-owned farms and introduced private farms, farmer co-operatives, and farmer markets. Cuban farmers began breeding oxen for animal traction. The Cuban people adopted a mainly vegetarian diet, mostly involuntarily; meat eating went from twice a day to twice a week. They increased their intake of vegetable sources of protein, and farmers decreased the growing of wheat and rice, which were the Green Revolution crops that required too many inputs. Urban gardens, including rooftop gardens, were encouraged, and today they produce 50 to 80 percent of vegetables consumed in cities. Early on, it was realized that more farmers were needed and that this would require education. All of the nation’s colleges and universities quickly added courses on agronomy, and urban educational centers provided courses on farming. Even those who were studying to be engineers and doctors were required to take such courses. Many people moved from the cities to the country to participate in agricultural work; in some cases there were incentives, in others the move was forced. At the same time, wages for farmers were raised so that they were equal to or even higher than those for engineers and doctors. The result was survival. The average Cuban lost 20 pounds of body weight, but in the long run the overall health of the nation’s people actually improved as a consequence. Today Cuba has a stable, slowly growing economy. There are few if any luxuries, but everyone has enough to eat. Having seen the benefit of smaller-scale organic production, Cuba’s leaders have decided that even if they find another source of cheap oil, they will maintain a commitment to their new decentralized, low-energy agricultural methods; moreover, the Cuban parliament declared 2006 to be the year of the energy revolution and has decided to pursue the goal of voluntarily reducing Cuba’s energy use by a further two-thirds. I don’t want to give the impression that Cubans sailed through the Special Period unscathed. Cuba was a grim place during those years, and to this day food is far from plentiful by U.S. standards. My point is not that Cuba is some sort of paradise but simply that matters could have been far worse. It could be objected that Cuba’s experience holds few lessons for our own nation. After all, Cuba has a very different government and climate, so we might question whether its experience can be extrapolated to the United States. Let us, then, consider an indigenous historical example: During both World Wars people planted “victory gardens.” Gardening became a spontaneous popular movement, which (at least during World War II) the Department of Agriculture initially tried to suppress, believing it would compromise the industrialization of agriculture. It wasn’t until Eleanor Roosevelt planted a victory garden on the White House lawn that Agriculture Secretary Claude Wickard relented, and his agency decided not only to promote victory gardens but to take credit for them. At the height of the movement victory gardens were producing roughly 40 percent of our vegetables, an extraordinary achievement in so short a time. Permaculture was developed in the late 1970s by Australian ecologists Bill Mollison and David Holmgren in anticipation of exactly the problem we see unfolding before us. Holmgren defines permaculture as “consciously designed landscapes that mimic the patterns and relationships found in nature, while yielding an abundance of food, fiber, and energy for provision of local needs.” Common permaculture strategies include mulching, rainwater capture using earthworks such as swales, composting, and the harmonious integration of aquaculture, horticulture, and small-scale animal operations. A typical permaculture farm may produce a small cash crop but concentrate largely on self-sufficiency and soil building. Significantly, permaculture has played an important role in Cuba’s adaptation to a low-energy food regime. Because of accumulating environmental damage and fossil fuel depletion Jeavons, like Holmgren and Mollison, has worked for the past three decades in anticipation of the need for de-industrialization of food production. Currently biointensive farming is being taught extensively in Africa and South America as a sustainable alternative to globalized monocropping. The term “biointensive” suggests that what we are discussing here is not a de-intensification of food production but rather the development of production along entirely different lines. While both permaculture and biointensive farming have been shown to be capable of dramatically improving yields per acre, their developers clearly understand that even these methods will eventually fail unless we also limit demand for food by gradually and humanely limiting the size of the human population. Thus, given certain conditions it is possible for industrial nations like the United States to make the transition to smaller scale, nonpetroleum food production. There are both precedents and models; however, all of them require more farmers. That is the catch—and here’s where the ancillary benefits kick in. One way or another, re-ruralization will be the dominant social trend of the twenty-first century. Thirty or forty years from now—again, one way or another—we will see a more historically normal ratio of rural to urban population, with the majority once again living in small farming communities. More food will be produced in cities than is the case today, but cities will be smaller. Millions more people than today will live in the countryside growing food although they won’t be doing so the way farmers do it today and perhaps not the way farmers did it in 1900. Indeed, we perhaps need to redefine the term farmer. We have come to think of a farmer as someone with five hundred acres, a big tractor, and other expensive machinery. But this does not describe farmers of a hundred years ago, and it’s not an accurate picture of most current farmers in less industrialized countries; nor does it coincide with what will be needed in the coming decades. We should start thinking of a farmer as someone with three to fifty acres who uses mostly hand labor and twice a year borrows a small tractor that she or he fuels with ethanol or biodiesel produced on site. How many more farmers are we talking about? Currently the United States has three or four million of them, depending on how we define the term. Let’s again consider Cuba’s experience: in its transition away from fossil-fueled agriculture that nation found that it required 15 to 25 percent of its population to become involved in food production. In the United States in 1900 nearly 40 percent of the population farmed whereas the current proportion is close to 1 percent. Do the math for yourself: Extrapolated to our country’s future requirements, this implies the need for a minimum of forty million and up to fifty million additional farmers as oil and gas availability declines. How soon will the need arise? Assuming that the peak of global oil production occurs within the next five years and that natural gas is already in decline in the United States, we are looking at a transition that must occur over the next twenty to thirty years, and it must begin approximately now. Fortunately there are some hopeful existing trends to point to. The stereotypical U.S. farmer is a middle-aged, Euro-American male, but the millions of new farmers in our future will have to include a broad mix of people reflecting our increasing diversity. Already the fastest growth in farm operators is among Hispanics, Asians, and Native Americans as well as among female full-time farmers. Another positive trend worth noting is that here in the Northeast, where the soil is acidic and giant agribusiness has not established as much of a foothold as elsewhere, the number of small farms is increasing. We’ve just heard good news from the previous speaker, Will Raap, and it’s heartening to learn of his remarkable successes in Vermont based on many years of persistent, intelligent work. Young adults—not in the millions but at least in the hundreds—are aspiring to become permaculture or organic or biointensive farmers. Farmers markets and community-supported-agriculture farms (CSAs) are established or springing up throughout the region. This is somewhat the case on the Pacific coast too, much less so in the Midwest and South. What will it take to make these tentative trends predominate? Among other things we will need good and helpful policies. The USDA will need to cease supporting and encouraging industrial monocropping for export and begin supporting smaller farms, rewarding those that make the effort to reduce inputs and to grow for local consumption. In the absence of USDA policy along these lines we need to pursue state, county, and municipal efforts to support small farms in various ways—through favorable zoning, by purchasing local food for school lunches, and so on. We will also require land reform. Those millions of new farmers will need access to the soil, and there must be some means for assisting in making land available for this purpose. Conservation land trusts may be useful in this regard, and we might take inspiration from Indian Line Farm, a community land trust in nearby Great Barrington. Ultimately the giant, many-thousand-acre agribusiness farms are going to have to be broken up for much smaller-scale production. How that process will work, I don’t know. We’re going to have to come up with some good proposals. Because so few people currently know much about farming, education will be essential. Universities and community colleges have both the opportunity and the responsibility to quickly develop programs in small-scale ecological farming methods, programs that also include training in other skills farmers will need such as marketing and formulating business plans. Given the fact that few if any farms are financially successful the first year or even the second or third, loans and grants will be necessary to help farmers get started. These new farmers will need higher and stabilized food prices. As difficult as it may be even to imagine now, food rationing may be required at some point in the next two or three decades. A quota system needs to be organized in such a way as to make sure everyone has the bare essentials and to support the people at the base of the food system—the farmers. Finally, we need a revitalization of farming communities and farming culture. I grew up in the Midwest, and there it’s very easy to see the devastation of small farming communities that has occurred over the decades. A century ago, even in the absence of the air and auto transport systems we now take for granted, small towns across this land strove to provide their citizens with lectures, concerts, libraries, and yearly chautauquas. These same towns have seen their best and brightest young people flee year after year, first for distant colleges, then for the cities, and as a result have become blighted, dull places. The folks left behind have done their best to maintain a cultural environment, but in all too many cases that now consists merely of a movie theater and a couple of video rental stores. If these places bloom once again with the arts, with culture, those who left will want to return. Farming communities must be interesting and attractive if we expect people to inhabit them and their children to want to stay there. We have been trained to admire the benefits of intensification and industrialization, but as I’ve already indicated, we have paid an enormous price for these benefits—a price that includes alienation from nature, loss of community and tradition, and acceptance of the anonymity and loss of autonomy implied by mass society. In essence, this trade-off has its origins in the beginnings of urbanization and agriculture. Could we actually regain much of what we have lost? Yes, by going back, at least in large part, to horticulture. Recall that the shift from horticulture to agriculture was, as best we can tell, a fateful turning point in cultural history. It represented the beginning of full-time division of labor, of hierarchy and patriarchy. Biointensive farming and permaculture are primarily horticultural rather than agricultural systems. These new intelligent forms of horticulture could, then, offer a viable alternative to a new feudalism with a new peasantry. In addition, they emphasize biodiversity, averting many of the environmental impacts of field cropping; they use various strategies to make hand labor as efficient as possible, minimizing toil and drudgery; and they typically slash water requirements for crops grown in arid regions. We have gotten used to a situation where most farmers rely on nonfarm income. As of 2002 only a bit less than 60 percent of farm operators reported that their primary work is on the farm. Only 9 percent of primary operators on farms with one operator and 10 percent on farms with multiple operators reported all of their income as coming from the farm. The bad side of this is that it means it’s hard to make a living farming these days. The good side is that we don’t have to think of farming as an exclusive occupation. As people return to small communities and to farming, they could bring with them other interests and means of employment.” In place of a new peasantry that spends all of its time in drudgery, we could look forward to a growing population of producers who are involved in the whole range of pursuits of the modern middle class that make modern urban life interesting and worthwhile—the arts and sciences, history, philosophy, spirituality, and psychology. The re-ruralization program I am describing could, moreover, be a springboard for the rebirth of democracy in this nation. I do not have to tell this audience how, over the past few years, democracy in the United States has become little more than a slogan. In fact, this erosion of our democratic traditions has been going on for some time. As Kirkpatrick Sale showed in his wonderful book Human Scale, as communities grow in size, individuals’ abilities to influence the affairs within them tends to shrink. Recent sociological research now reveals that people who have the ability to influence policy in their communities demonstrate a much higher sense of satisfaction with life in general. In short, the re-ruralization of this country could represent the fulfillment of Thomas Jefferson’s vision of an agrarian democracy—but without the slaves. If we do this well, it could mean the revitalization not only of democracy but of the family and of authentic, place-based culture. It could also serve as the basis for a new, genuine conservatism to replace the ersatz conservatism of the current ruling political elites. What I am proposing is nothing less than a new alliance among environmental organizations, farmers, gardeners, organizations promoting economic justice, the anti-globalization movement, universities and colleges, local businesses, churches, and other social organizations. The efforts of this alliance would, moreover, have to be coordinated at the international, national, state, and local levels. This is clearly a tall order; however, we are not talking merely about a good idea. This is a survival strategy. It may seem that I am describing and advocating a reversion to the world of 1800 or even of 8000 B.C. This is not really the case. We will of course need to relearn much of what our ancestors knew, but we have discovered a great deal about ecology, biology, geology, hydrology, and other relevant subjects in recent decades. We should be applying that knowledge—as Holmgren, Mollison, Jeavons, and others have done—to the all-important project of producing food for ourselves. Cultural anthropology teaches us that the way people get their food is the most reliable determinant of virtually all other social characteristics. That’s why we classify societies as hunter-gatherer, horticultural, fishing, animal herding, agricultural, industrial, and so on. Thus, as we build a different food system, we will inevitably be building a new kind of culture, certainly very different from industrial urbanism but probably also from what preceded it. As always before in human history, we will make it up as we go along, in response to necessity and opportunity. It may be that the great change I’ve been telling you about won’t take place until the need is more obvious and irresistibly pressing. Perhaps the cost of gasoline needs to rise to $10 a gallon. Perhaps unemployment will have to reach 10 or 20 or 40 percent, with families begging for food in the streets, before embattled policy makers begin to reconsider their commitment to industrial agriculture. Even in that case, as in Cuba, all may depend upon having another option already articulated. Without that, we will be left to the worst possible outcome. Rather than consigning ourselves to that fate, let us accept the current challenge—the next great energy transition—as an opportunity not to vainly try to preserve business as usual, the American Way of Life that we are told is not up for negotiation, but rather to re-imagine human culture from the ground up, using our intelligence and our passion for the welfare of coming generations and for the integrity of nature’s web as our primary guides. Q: For those of us who want to read more about what’s happened in Cuba in the agricultural/horticultural area, can you cite some references that we could go to? Q: I kept thinking of two works of literature as I listened to you speak, The Grapes of Wrath and Their Eyes Were Watching God. As you described the catastrophes over the horizon but also the hopeful signs, it occurred to me that both books revolve around natural climate disasters and a climate shift that caused suffering, but then they move from there to a cultural shift and to the recognition of the need for a shift in people’s own hearts. I think you articulated that need. Do you have any specific ideas on how to bring that about and to learn to celebrate ourselves again and celebrate our work? I think that’s lacking in large part, and if we learn how to do that again, we’ll feel proud to either return or move forward to the kind of de-industrialization that will sustain us. A: One cultural element that could help enormously is sharing. That’s something we seem to have forgotten how to do, and we’ve been encouraged not to do so by the way our cities have developed and by economic trends in this country. Clearly, as there are fewer commodities to go around, either we will fight over what’s left or we will share what’s left. Those are the two paths before us, so developing a culture of sharing is extraordinarily important in finding a peaceful way through the coming energy transition. Sharing has to be pioneered in all of the areas that will be important to us, not only food but also transportation. The driving-alone syndrome will inevitably go by the wayside, literally and figuratively, but what will replace it? A number of interesting new models are being proposed such as community cars and the smart jitney, which is like a shared taxicab and very common in the less industrialized world. We don’t have them here because most cities have ordinances that prohibit taxicabs from picking up multiple passengers in multiple places and dropping them off as they go along. But of course it’s a much more energy-efficient way of operating, and you end up sharing the resource of the taxicab. These are only two little examples, but virtually all of the social invention we’re going to be having to undertake over the next few decades involves some form of sharing. Again, the more we get used to this now and think about it and pioneer and imagine ways of doing it, the better off we will be. Q: You’ve come out with a very important new book, The Oil Depletion Protocol. Would you please describe the Protocol and talk about the ways in which it impacts the subject of your address today. A: I’m not the author of the Protocol, just of the book by that title. The protocol itself was suggested by Colin Campbell, the petroleum geologist, and it’s essentially very simple: It calls on adopting nations that are oil importers to reduce their imports by the global oil-depletion rate, which happens to be about 2.5 percent per year, and oil-producing nations would reduce their production by their national depletion rates. This would stabilize oil prices at a high level. We need stable prices, and we need high prices. If we have volatile prices, that undermines the process of economic adaptation. The Protocol would also reduce the likelihood of competition and conflict for the world’s remaining oil supplies. If the nations of the world fight over the world’s remaining oil, which we’re really doing right now, the end result will be that no one is able to adapt successfully. Finally, the Protocol will leave oil in the ground. If you think about it, the least intelligent thing we could do with this amazing one-time-only gift of nature is take it out of the ground as quickly as possibly and just burn it once and for all. The Oil Depletion Protocol is something that is just beginning to be promoted, and I’m working closely with the Post Carbon Institute on it. The Protocol can be adopted not only by nations but by businesses, states, regions, municipalities, and even by individuals. All that’s necessary is to calculate how much oil you’re using now and make a plan to reduce that amount by 2.5 to 3 percent a year. That’s easy to do in this country; we’re already consuming twice as much oil per capita as the Europeans and Japanese. Making this reduction confers an immediate benefit because whether it’s a nation, a city, or a business that does so means adapting to the post-peak world now while there are many options available rather than waiting until the last moment when the opportunities will be far fewer and not as favorable. We see this in the U.S. auto industry right now: Ford, General Motors, and Chrysler chose to put off the energy transition as long as possible, and now they are on the verge of bankruptcy while automakers like Toyota and Honda, which foresaw the likelihood of higher fuel prices, are engaged in the transition. They are profiting as a result. That’s just one example, but transfer that to individual cities, to nations across the world, and you get the picture. Sweden has voluntarily decided to end its oil addiction by 2020, and I think we’ll see other nations lining up in the years ahead as well. Q: You mentioned an annual 2.5 percent reduction in our energy obesity, but on an individual basis, if you were to wave a wand and suggest we all start tomorrow, what percentage would you suggest? A: We must proceed by increments. I think we have to look at something like a 90 percent reduction in U.S. energy use as our goal, but I’m talking about the end result over certainly many years and possibly decades of adaptation. We need to understand that the rate at which we in this country are using energy now is absolutely off the charts, completely unprecedented in all of human history. Even with a 90 percent reduction we would still be looking at a historically high level of energy consumption. I think we can support that amount by using renewable energy sources. I personally know people who have no car, who use no external source of heat for their homes—of course, they do live in California—who grow most of their own food, and so on. Their energy consumption is in fact right now only 10 percent of the U.S. average. It certainly can be done, but for society as a whole we have to stretch out the process of reduction: 2.5 to 3 percent a year achieves 25 percent over the course of ten years, 50 percent over fifty years, and so on. Q: You talked about many of the inefficiencies of the petroleum-based agriculture system that we’re used to in this country, but you didn’t really go into the vast inefficiencies of how much of that grain is going for animals, which we then eat. You did mention Cuba and their experience of a plant-based diet and the benefits that ensued. How do you view eating lower on the food chain as it relates to your overall thesis? A: As a thirty-five-year vegetarian I’m a little biased. Yes, meat production is obviously extremely energy intensive and more so in this country than in many other places. In Australia, for example, the amount of water devoted to meat production is much smaller than it is here. Over the past thirty-five years I have found that from a health standpoint many people don’t do well on a completely vegan or vegetarian diet, and I think we have to be realistic and take account of that. I also think, however, that we would be healthier if we ate less meat; that would help our collective survival prospects enormously as we go through this transition. In our transition to a post-fossil-fuel food production regime I think one of the key elements has to be the relearning of seed saving, and I say this because the current system for producing and distributing seeds is very vulnerable due to problems associated with the genetic engineering of food crops and also to the problem of dependence on our current transportation system. If that system breaks down, where does next year’s crop come from? So seed saving is a skill I would advise everyone to learn about and start practicing for at least part of your food supply. There are differing approaches in the discussion having to do with the peak-oil movement. A number of former petroleum geologists and engineers and energy traders involved in it have a rather narrow view of what peak oil is about and what the problem is and how we can solve it. They tend to gravitate to solutions like tar sands and oil shale and nuclear power. But a big part of the response to the problem of peak oil that has emerged over the past few years has been a citizen-based movement that I must say is one of the most encouraging political movements I’ve seen in my lifetime. Everywhere I go, I see groups that have formed within the past two years, often within just the past few months—citizen groups working to formulate local policies, working with their city-council members, their county boards of supervisors, mayors, etc. They are knocking on doors, being persistent, and actually getting a hearing, in many cases even making changes in public policy. Now, these aren’t sufficient changes yet, but it’s certainly a start. The great thing about it is that these are people who in many cases have previously not been politically involved, or they’re people who were politically involved years ago but then became discouraged by the complete dysfunctionality of the national political scene in Washington and gave up on political action. But now they’re involved at the local level, and they’re finding that it is possible to make a difference. I think this is enormously encouraging. There are several organizations that are trying to help coordinate all of this, but in fact it’s very much a spontaneous effort. I know that probably all of you have been toiling in this vineyard for some time, and speaking to a gathering of this sort is sometimes referred to as preaching to the choir. I don’t regard it that way at all; I regard it as talking to a room full of preachers because I know that all of you have many connections throughout your own communities.